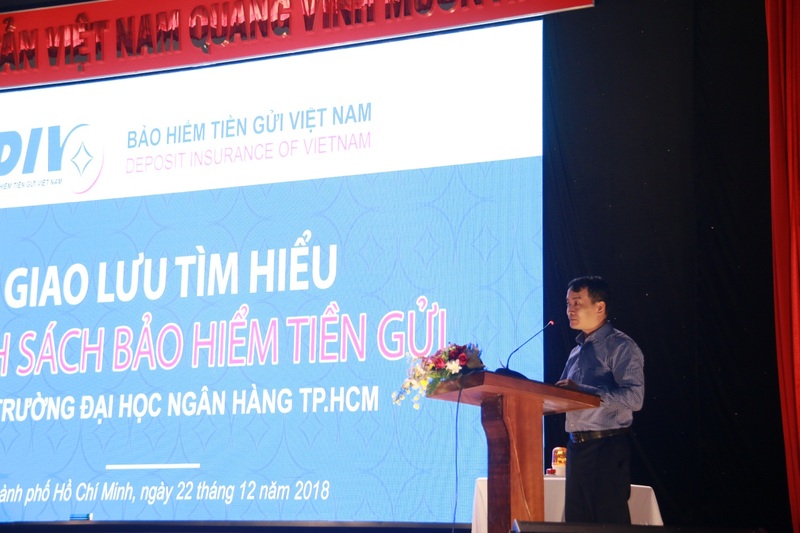 The Exchange Day with the topic "Learn about Deposit Insurance policy"
In the morning of December 22, 2018, The Exchange Day with the topic "Learn about Deposit Insurance policy" was held by University of Banking HCMC and Deposit Insurance of Vietnam. Attending the meeting were Mr. Dao Quoc Tinh - DIV's General Director, Mr. Vu Van Long – DIV’s Deputy General Director, Ms. Vu Tuyet Lan - Head of TTTT and representatives of the departments from DIV Headquarters. DIV Branch in HCMC attended Mr. Duong Quoc Long - Director, Mr. Ngo Thanh Hung - Vice Director, Ms. Nguyen Thi Bich Lien - Vice Director and representatives of DIV branches in HCMC. Representatives of Banking University Ho Chi Minh City includes Dr. Bui Huu Toan - Deputy Principal, Assoc. 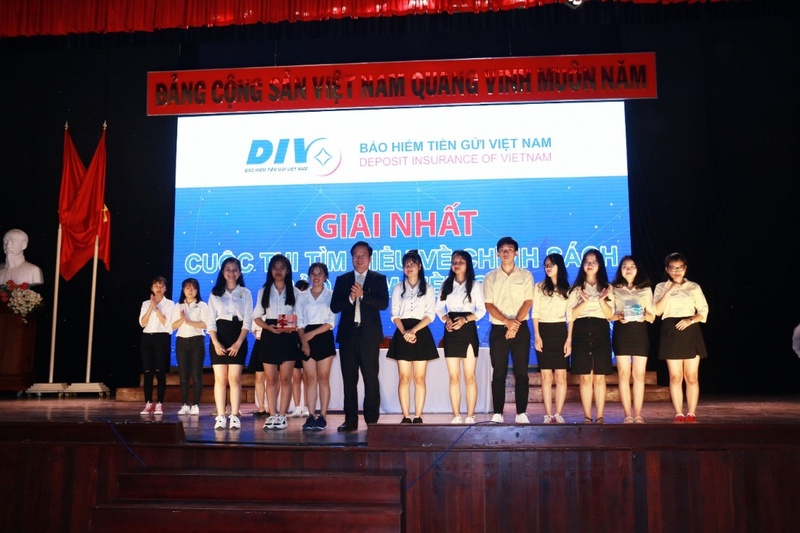 Doan Thanh Ha - Vice principal, Dr. Nguyen Tran Phuc - Head of Banking Department, Mr. Nguyen Van Sau - Director of Student Support Center and officers of departments, and students. 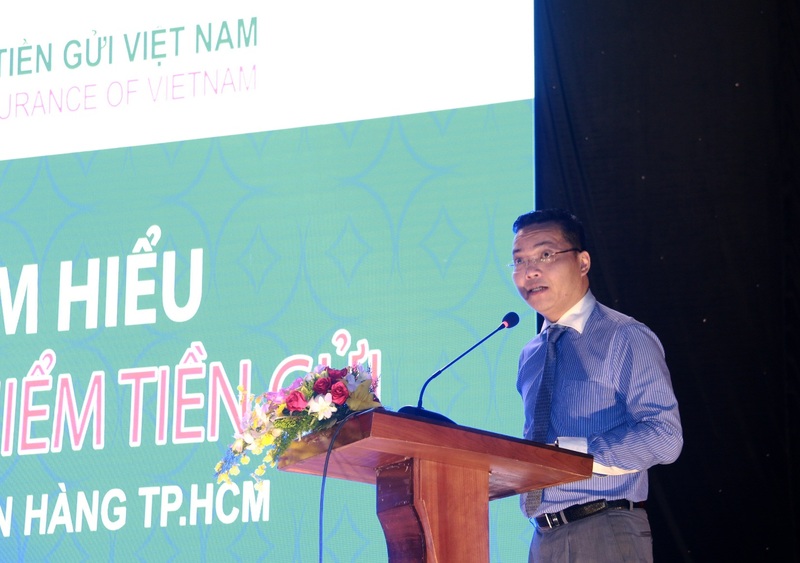 In the opening speech, Dr. Nguyen Tran Phuc – Dean of Faculty of Banking of Banking University HCMC welcomed delegates from DIV and teachers and students. For more than 40 years, Banking University HCMC has been one of the leading centers of educational training, scientific research and technology transfer in the fields of economics, finance and banking. With the goal of becoming a research-oriented and world-class university, Banking University HCMC will try to provide society with more experts and leaders, and increase research and transfer activities. The Exchange Day is held to strengthen cooperation between university and business, and equip necessary knowledge to be able to protect depositors' rights now and in the future. 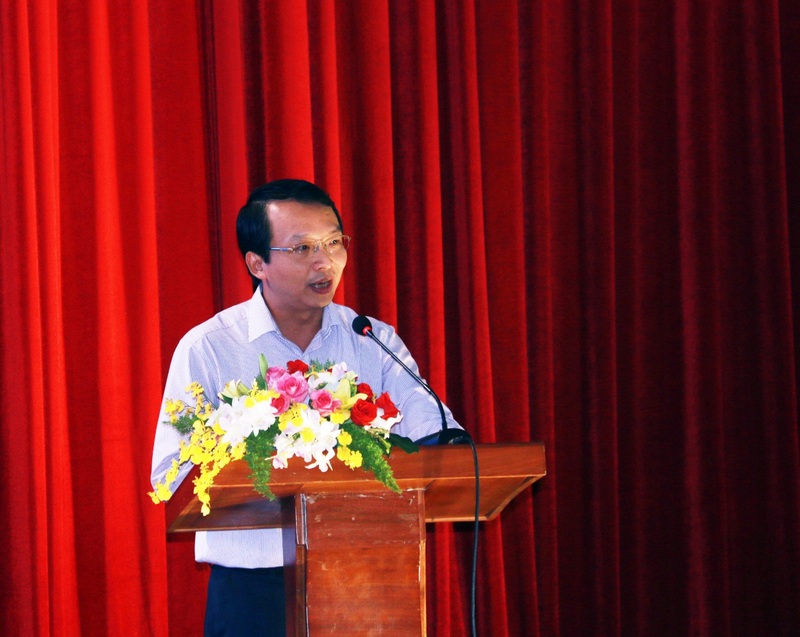 Dr. Nguyen Tran Phuc gave opening speech and welcome leaders and representatives from DIV. Mr. Duong Quoc Long - Director of DIV Ho Chi Minh City Branch shared the main purposes of the DIV's policy to protect the legitimate rights and interests of depositors, which can ensure the stability of credit institutions, partly helps guarantee a safe and healthy development of banking activities. 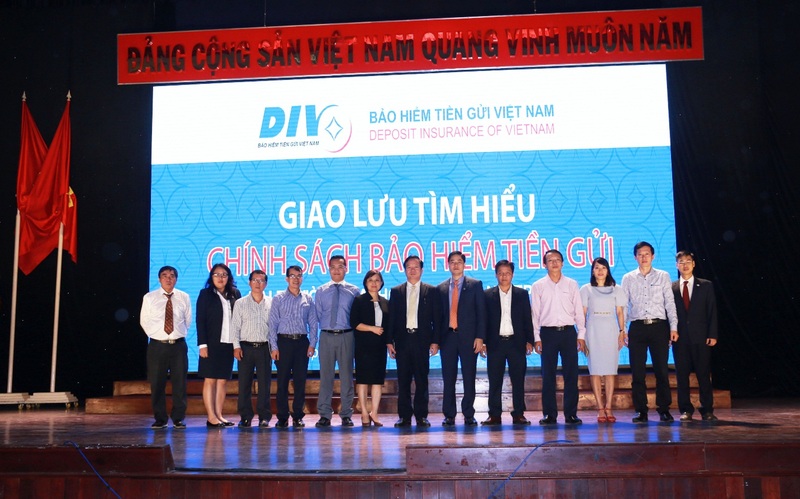 Director of DIV Ho Chi Minh City Branch hoped that, after The Exchange Day, students at Banking University Ho Chi Minh City might have more useful knowledge about finance - banking in general and deposit insurance in particular. With continuous efforts to be more professional and earn greater achievements, DIV desires that through such activities it can stabilize its position in finance sector as well as play an important role in increase the quality of the banking system. 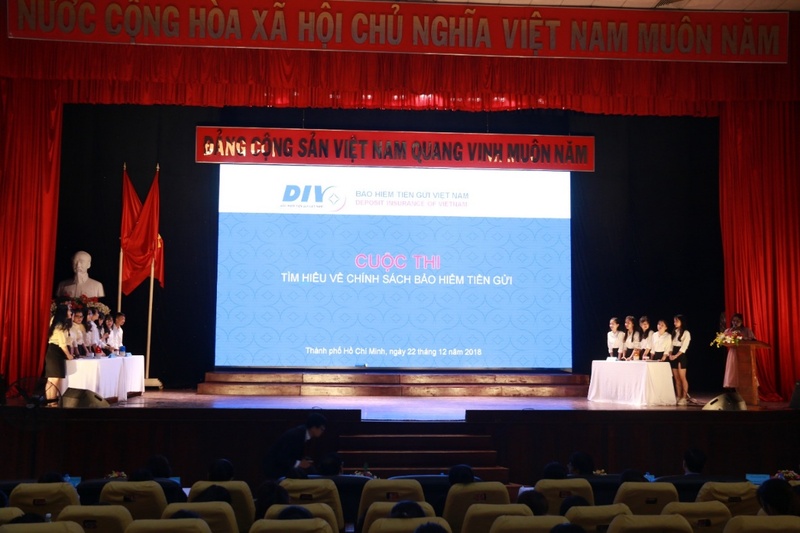 Mr. Duong Quoc Long - Director of DIV Ho Chi Minh City Branch shared the main purposes of the DIV's policy. The atmosphere in the hall was heated when the "Learn about Deposit Insurance" contest began. 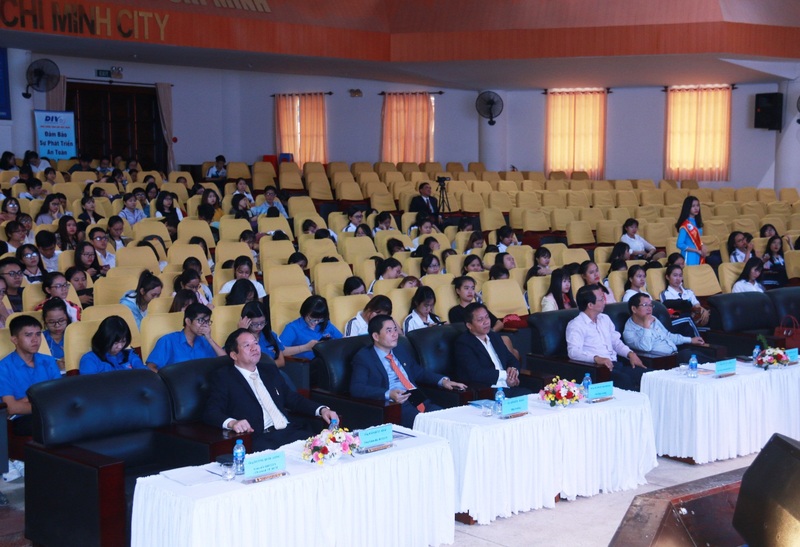 The students of Banking University HCMC excellently answered the questions in the contest and from the judges. In addition, the students also raised questions about the DIV’s policy. At the end of the competition, two excellent teams were awarded first and second prizes. Mr. Dao Quoc Tinh - DIV's General Director awarded first and second prizes. At the end of The Exchange Day, Mr. Vu Van Long - Deputy General Director of DIV thanked the University Board of Banking University HCMC, teachers for providing an opportunity for DIV to be with and accompany students, future owners of the country, potential depositors. This exchange could make a positive contribution to the sustainable development of the banking industry in particular and the country's economy in general. Mr. Vu Van Long – DIV’s Deputy General Director delivered the closing speech.